Hatchbacks have gained quite the popularity in the Indian auto market and has become a preferred choice of the people lately. Manufacturers are catering to the masses by releasing a plethora of performance-powered, feature-packed variants across multiple price brackets. 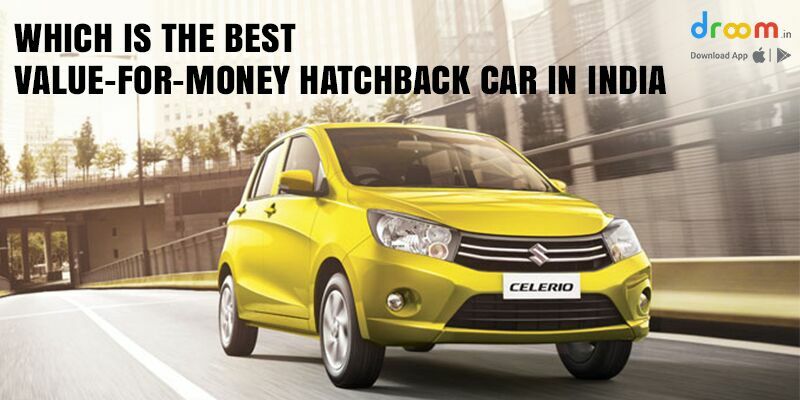 Hatchback cars are no more an option only for the budget-conscious. The undisputed ruler of the entry-level price segment hatchback cars in India, the French manufacture Renault Kwid is a small-car masterpiece. The French were smart to style the Kwid with a sporty SUV look, and have packed it with segment-premium features, surprising bootspace and worthy performance. With a ground clearance of 180mm, and six different customization options, this entry-level hatchback is the best of its segment. Loved across the country for being the most successful value-for-money car, Maruti Suzuki Swift has outdone itself yet again. This well-deserved leadership comes from the brand promise, mileage returns the likes of which only the Japanese can deliver and most importantly, after-sales service. The Tiago reflects the car maker’s impact design philosophy while packing a favorable power punch. The 1.2L Revotron petrol engine makes for a smooth ride while the 1.05L Revotorq diesel engine variant was meant to be a display of power on open roads. While the fuel economy of Tata cars are still below their Japanese rivals Maruti Suzuki, the Tiago gives the Swift a tough run. The Indian automotive market is nothing short of a playground for Maruti Suzuki. Having already nailed the economy segment, Maruti Suzuki’s premium hatchback Baleno takes on the premium market Nexa features such as Suzuki Connect, button ignition with smart key, electric ORVMs along with a widescreen infotainment unit loaded with the latest compatibility software for both android and apple devices. Most importantly, Dual Front Airbags, ABS with EBD are a standard for safety features across all trims. The recent facelift reveal for Hyundai Elite i20 was quite the crowd pleaser at the Delhi Expo of 2018. The South Korean auto manufacturer observed a strong spike in sales post the unveiling and has been a huge success on the market. A tough competition to the Baleno, this car has refreshed its styling including a larger front grille, projector headlamps with DRLs, rear AC vents, adjustable armrests and the latest 7-inch touchscreen infotainment unit. Compared to their predecessors, even entry-level hatchback cars come with power-windows and AC units with upgraded styling and better fuel economy. While standard to mid-level hatchbacks come with added safety features like front-dash airbags, ABS and EBD as options, premium models come with these as default. Added features like smart climate control, rear AC vents and top-notch infotainment systems are aimed at premium markets as well making hatchbacks all the more desirable. Sell Used Car and Bikes Online at Best Price!